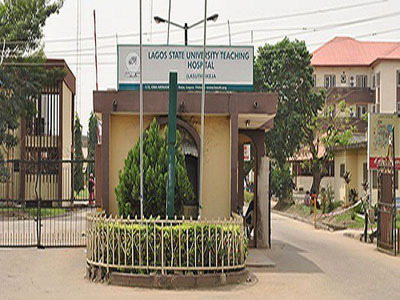 Resident doctors at the Lagos State University Teaching Hospital (LASUTH), Ikeja will begin three days warning strike on January 28, the President, Association Doctors (ARD-LASUTH) president Dr. Fatai Balogun said yesterday. The strike, is over shortage of house officers and resident doctors. The News Agency of Nigeria (NAN) reports that the association last September went on an indefinite strike to demand the replacement of house officers and resident doctors that left. Balogun said the strike was suspended following the managementâ€™s promise to replace them. â€œThis crisis has been recurring over the years without any structured policy put in place to ensure seamless replacement of the exited doctors. â€œThis, however, creates loopholes in the provision of optimal clinical service delivery. â€œIt is made to appear that the only language understood by them is an avoidable industrial action. â€œAll we are asking for is seamless employment of resident doctors and house officers; this should not be a tall order. â€œThe association is left with no option but to reluctantly resume the suspended strike with a three-day warning strike, which inevitably commences at 8am on Monday, January 28,â€ Balogun said. He said shortage of doctors had resulted in long waiting period by patients and inefficient sub-optimal health care service. The doctors, he said, were being overworked and are falling ill.
â€œUntil our struggle last September, the government did not employ doctors. â€œThe state government, after the struggle, employed only 55 house officers and promised to employ the remaining 25 last December. â€œUp till now, they have not been employed,â€ Balogun said. LASUTH Chief Medical Director Prof. Adetokunbo Fabamwo promised to avert the strike. He said the Head of Service, Mr. Hakeem Muri-Okunola, would ensure the treatment of the paper work needed in the recruitment of doctors. â€œThe head of service believes there should be a template for automatic replacement of doctors. He says he will work towards that in order to address the shortage,â€ Fabamwo said.